Welcome to our Anthony Trollope tour! It will run from Monday, December 6 to Friday, December 17. Check back here to see which blogs Mr Trollope will visit each day during the tour. Here are the blogs Mr. Trollope will be visiting each day. Monday, December 6 Birdbrain(ed) Book Blog Miss Mackenzie or Mr. Scarborough’s Family. Wednesday, December 8 A Few of My Favourite Books Can You Forgive Her? Our Anthony Trollope tour will run from Monday, December 6 to Friday, December 17. Our button comes from the frontspiece of the first publication of The Last Chronicle of Barset (published 1867). If you think there is an error below, please leave a comment or send me an email at rebecca[at]rebeccareid[dot]com. If you’d like to join the tour, please send me an email. 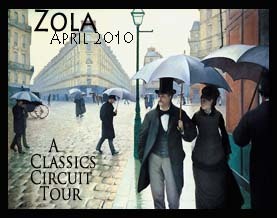 The Classics Circuit is pleased to announce an upcoming tour! In our Anthony Trollope Tour, we will be reading works by the prolific Victorian writer, Anthony Trollope. Anthony Trollope was born in London in 1815. When he died in 1882, he’d written 70 major works, including novels, stories, sketches, essays, and travelogues. Our hopes are that this Classics Circuit appropriately recognizes his talent. The tour will be shorter this time around, as I plan on changing the set up of the tour to be a little more cohesive. Dates are tentative, although I anticipate that the Anthony Trollope Tour will begin on December 6 and run until December 17. I have prepared this introduction in a slightly different way than I have in the past. I’m letting my fellow bloggers and book reviewers speak for each book. Instead of including summaries of each book, I’ve linked the title, where available, to Wikipedia’s summary of the book. (Although note that the bulk of the Wikipedia entry may include plot details.) Also, after each book title, I’ve included a blurb from a blog, a LibraryThing review, or an Amazon review. Often those reviews contain basic plot information without spoilers, and you should be able to get a general idea about what the book is about and whether you will enjoy it. It is my hope that this list and the praise from fellow readers will help you get ideas about which Anthony Trollope novel (or nonfiction) you would like to read for the tour. Please note that I personally am not an expert on Anthony Trollope. I’m just a reader like you hoping to enjoy this journey. 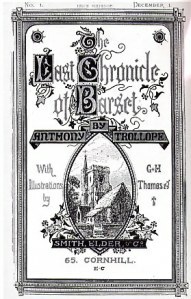 There are sections on this page for Anthony Trollope’s two major series, The Chronicles of Barsetshire and the Palliser Novels, as well as sections for other major works, lesser-known works, and works Trollope wrote without online summaries or reviews. 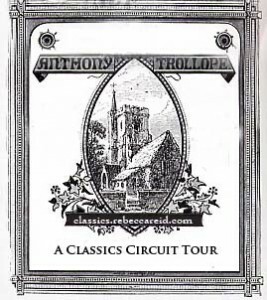 Anything by Anthony Trollope would work for this tour, even if it’s not listed below. About the Classics Circuit. The Classics Circuit: Anthony Trollope Tour is a blog tour of Trollope’s works. Participants select a work to read and let us know of the selection. Via email, we will assign participants a day to post about the work. On the assigned days, participants post about the work on their blogs. Participants write in their own style, for whatever length of post they’d like. After the tour is over, we will post on our site a list of permalinks to all those who participated in the tour. Note that you must have a blog to participate. Sign up is open until Wednesday, November 3 in the evening.